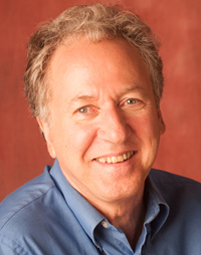 Recently retired from clinical medicine, Dr. Lester Adler now solely practices energy medicine. For more information on his work or to make an appointment, please go to beyondMDmedicine.com. Dr. Lester Adler graduated from the University of Pennsylvania School of Medicine in 1972. He completed an internship and residency in Internal Medicine at the University of Illinois and Cook County Hospital and became certified by the American Board of Internal Medicine in 1977. Following an additional two year fellowship in Hematology (blood diseases), he began a "holistic medical practice" in Cambridge, MA in 1980. His further studies led him to incorporate nutrition and nutritional medicine, yoga, acupuncture, massage, meditation, homeopathy and energy medicine. He has resided in Sedona since 1988. Always seeking to provide the most intelligent, safest, and most effective therapy for each patient, Dr. Adler combines his knowledge and application of traditional western medicine with nutritional and metabolic therapies, IV therapies, heavy metal detoxification, customized longevity programs, and a strong intuitive approach. He was a clinical instructor at the Southwest College of Naturopathic Medicine, has had a radio program, and has been featured on the CBS Morning News. He served on the Arizona Board of Homeopathic Medical Examiners for 9 years. He is a member of ACAM - American College for Advancement in Medicine, A4M - American Academy of Anti-Aging Medicine and AHMA - Arizona Homeopathic and Integrative Medical Association.